Very Cute video featuring the Recipe in Italian with Subtitles. We offer this type video to not only introduce an authentic recipe but to help our people learn or brush up on their Italian Language chops. Gnocchi were introduced by the Roman legions during the expansion of the empire into the countries of the European continent. In the past 2,000 years, each country developed its own specific type of small dumpling, with the ancient gnocchi as their common ancestor. 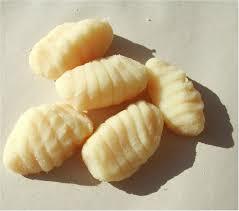 The word gnocchi may be derived from the Italian word nocchio. Nocchio means a knot in wood, from nocca (meaning knuckle). It has been a traditional type of Italian pasta of (probable) Middle Eastern origin since Roman times. 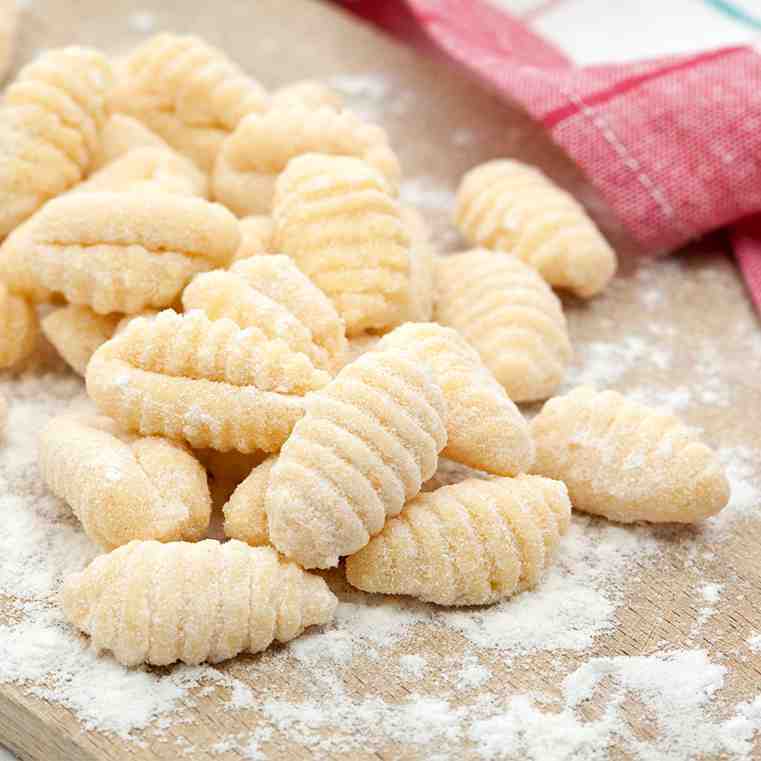 In Roman times, gnocchi were made from a semolina porridge-like dough mixed with eggs, and are still found in similar forms today, particularly the oven-baked gnocchi alla romana and Sardinia‘s malloreddus which do not contain eggs. The use of potato is a relatively recent innovation, occurring after the introduction of the potato to Europe in the 16th century. 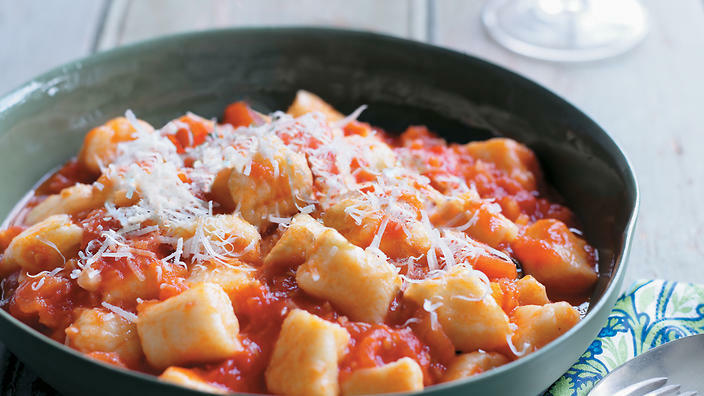 Potato gnocchi are particularly popular in Abruzzo, Friuli-Venezia Giulia, Veneto, and Lazio. 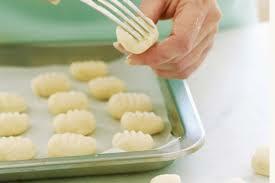 As with other mashed potato dishes they are best prepared with starchy potatoes to keep a light texture. 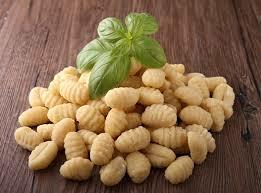 Due to the significant number of Italian immigrants who arrived in Argentina, Brazil, Paraguay and Uruguay, gnocchi is a popular dish, even in areas with few Italian immigrants. 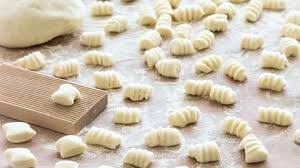 In Brazil, Uruguay, Paraguay, and Argentina there is a tradition of eating gnocchi on the 29th of each month, with some people putting money beneath their plates to bring prosperity. Indeed, in Uruguay and Argentina ñoqui is slang for a bogus employee. Someone who only turns up at the end of the month to receive her or his salary.